Fifth Type of Psalm is a song that is played and it is from the left side of Gevurah. This is also the secret of the singing of the Levies. The left column needs to connect to the right in order to unify with Chessed and draw the light of Chokmah. When the left unite with the right, the sounds of judgments in the form of thunders תרועה are coming out (Job 26:14). The related sound of the Shofar שופר, Teruah תרועה (sequence of short blowings), bring out and remove the Judgments from the Central Column, Tiferet. The Shofar Sound of תקיעה (continuous sound), reduces the female aspects of judgments and the sound of שברים (three segments of blowing), reduce the male aspect of Judgments. At the end of days the patriarchs, Abraham, Isaac and Jacob that are the chariots to the three columns, will join together to on the Left column and will control the judgments with the three forces of the Shofar תשר, (The ר is for תרועה). The letters have the the three final letters of the Alef Bet. They are from the word בראשית and have the meaning of “Gift”. This final stage will take place in the land of Israel where the patriarchs are buried in חברון Hebron. In 2 Samuel 2 we read that King David asked God to where to go for elevation and God answered immediately “Hebron”. That is where he became king. The word חבור = חברון, means connection and since King David is the chariot to Malchut then he must come through the Patriarchs that dwell there until the final days. In few days we have the death anniversary of a great kabbalist Rabbi Avraham Azulai from 16th century (passed away 1643 in Hebron). When he came to Israel he chose to live in Hebron for better connection. It is there that he wrote his commentary to the Zohar named “Ohr Hachama” , menaing light if the sun. This is one of my Zohar study books. The Sultan of the Ottoman Empire made a journey from his seat of government in far off Turkey to places of importance in his domains. He made his way to the Cave of the Machpelah in Hevron. Adorned in the traditional ruling garb, the Sultan’s gold sword, studded with diamonds and precious stones hung at his side. The Sultan wondered from room to room, finally entering the huge hall named after the Patriarch Yitzchak. The center of attraction in the Yitzchak Hall is a small circular hole in the floor, near the wall shared by the smaller Avraham Hall. The hole is perhaps the most sacred spot in the entire illustrious structure above the burial caves of the Patriarchs and Matriarchs, for it leads down into the caves themselves. Pilgrims from all over the world journey for weeks and months, only to have the opportunity to stand by this small dark circular opening, leading into the cave, which according to tradition, was excavated by Adam, the first man. The Sultan leaned over the revered aperture, peering down into it. As he bent over, his precious sword fell from his side, down into the cavity in the ground. The Sultan called the officer of the guard and ordered him to lower a soldier through the hole into the caves below, to retrieve his sword. Quick to respond to the Sultan’s order, the officer selected a soldier nearby. Another soldier wrapped a rope around his waist and lowered the soldier into the underground cavern. No sooner had they done so when, without warning, piercing screams penetrated from inside the hole below. Quickly they pulled up the soldier but he was dead. The Sultan ordered that another soldier be lowered into the caves. So it was, and his fate was precisely as was his predecessor. The Sultan continued to send soldiers into the caves until it became apparent that all who enter the caves do not exit alive. The Sultan turned to his hosts and exclaimed, “Who will return to me my sword?” The Arabs, looking at one another, answered without hesitating. “Why not send down a Jew? If he dies, none of us would care, and if not, you will have your precious saber back”. So the Jews were ordered, on pain of death, to supply a volunteer to be lowered into the caves to return the Sultan’s sword to him. The Jews of Hevron had heard what happened to the Sultan’s soldiers. How could they send one of their own to his death? They prayed and fasted, hoping to avert the decree. Realizing that they had no choice, they looked one to the other. Who would dare to enter the sacred Caves of the Patriarchs? The elderly Rabbi of the community, Rabbi Avraham Azulai, solved the dilemma. “I will enter the Holy Caves. Have no fear”. And so it was. After praying and pleading before the God, R’ Azulai immersed himself in the Mikve and dressed in white garments, the traditional dress of the dead. He set forth to the Cave of the Machpelah. With a rope tied around his waist, R’ was lowered into the cave. So the saintly Rabbi returned to the Yitzchak Hall, above the cave of the Patriarchs, and with him, the Sultan’s sword. The Sultan was pleased. Upon seeing their beloved Rabbi return alive, the Jews of Hevron declared the day a holiday. R’ Azulai spent the next week with his students, teaching them all he knew, all the esoteric teachings of Torah. Day and night he learned with them, instructing them, imparting to them all that he knew. 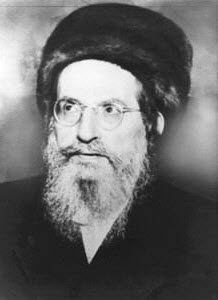 Seven days after being lowered into the Cave of the Machpelah, Rabbi Avraham Azulai died peacefully. He was brought to rest in the ancient Jewish cemetery in Hevron, overlooking the final resting place of his beloved Forefathers.